My 23andMe kit just came in! Here is what's inside. 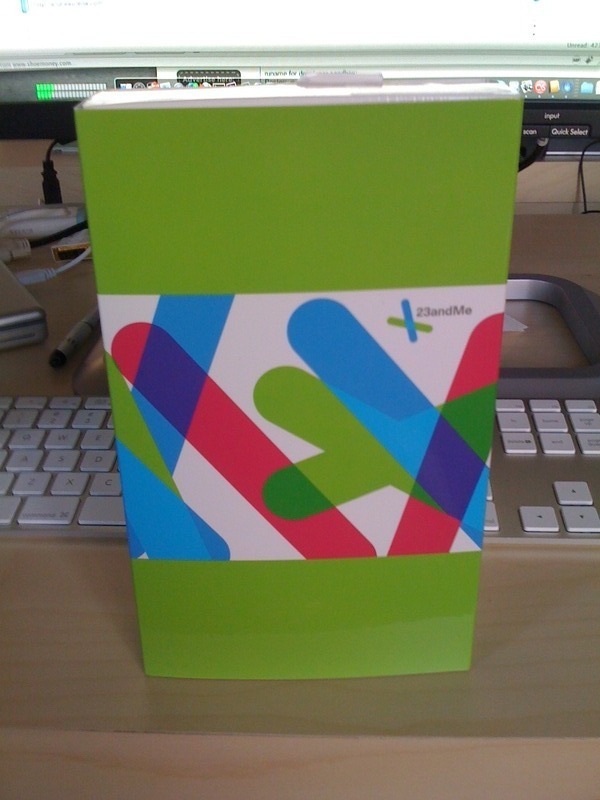 I just picked up a 23andMe kit as a part of their Research Revolution campaign. 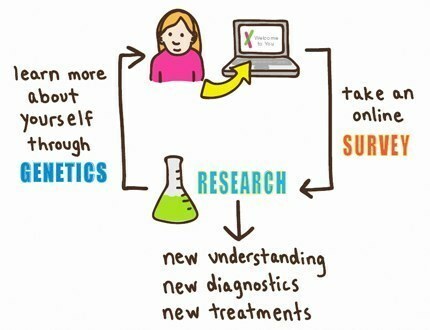 They're trying to better understand disease in a crowd-sourced user-generated way. I think it makes a ton of sense. Health information is difficult to gather, and with good reason. Health information is sensitive, and can change your life in positive and negative ways. On the one hand, I can see what ailments and diseases I'm prone to get, and change my lifestyle to avoid them and live a longer, better life. But on the other hand, if that information gets in the hands of my future employers, or worse, my future health insurance, then a Gattaca-style scenario could become reality. I'm glad they're doing it, because I don't know who else could. Here's what came in the kit today. I am sending it off later today, and am waiting eagerly for the results. And just for fun, here's what it's like to do a spit kit, courtesy of my friend @jensmccabe.